PrimaLoft, Inc., a global leader in advanced material technology solutions, introduced October 23, 2018 PrimaLoft® Bio, the first synthetic insulation made from 100% recycled, biodegradable fibers. Developed over the last four years by PrimaLoft’s team of scientists and engineers, PrimaLoft achieved this textile breakthrough without affecting the performance characteristics of the insulation. In accelerated test conditions simulating a landfill environment (ASTM D5511), PrimaLoft Bio fibers have reached near complete biodegradation in 394 days, a highly accelerated rate as compared to the negligible degradation observed in standard polyester, under the same conditions. This proprietary technology does not change the performance, look or feel of the garment and is expected to be available to consumers in fall 2020. PrimaLoft Bio fibers break down when exposed to landfill or ocean environment. PrimaLoft has enhanced the fibers to be more attractive to the naturally-occurring microbes found in these anaerobic environments. The microbes eat away at the fibers at a faster rate, returning the insulation to nature. The biodegradation process leaves behind water, methane, carbon dioxide and biomass (expired microorganisms, organic waste). PrimaLoft Bio insulation will only biodegrade when exposed to the microbes in landfills or ocean water, thus, the insulation remains highly durable throughout its usable life cycle in a garment. The idea was already born in 2014 from the PrimaLoft product management. After two years of research, it took two years to develop the process and more than a year of testing with an independent lab. “PrimaLoft Bio has the potential to transform the outdoor and fashion/lifestyle industries’ supply chain,” said Dr. Charles Lancelot, a materials technologist who worked alongside PrimaLoft during the testing process. “Over 80% of discarded textile and garment wastes were landfilled in 2014 in the US, accounting for nearly 8% of the total waste. This advanced biodegradation technology from PrimaLoft leverages progressive end-of-life material science and demands the attention of every apparel brand interested in making a smaller environmental footprint. PrimaLoft Bio expands upon PrimaLoft’s commitment to being Relentlessly Responsible, providing sustainable solutions throughout its business in order to lessen its impact on the earth. To date, PrimaLoft has saved more than 84.7 million plastic bottles from landfills and transformed them into premium insulation technologies. By 2020, 90% of PrimaLoft insulation products will have at least 50% post-consumer recycled (PCR) content, without compromising performance. Earlier this year, PrimaLoft introduced its first insulations with 100% post-consumer recycled material. Moving forward, PrimaLoft is working diligently and investing to reduce its footprint through the supply chain with an emphasis on finding solutions for reducing energy, carbon emission reduction, utilizing biodegradable products and incorporating natural plant-based fibers in its products. PrimaLoft, Inc., a materials science company based in Latham, New York with offices in Germany and China, is the world leader in research and innovative development of comfort solutions with high performance insulations, fabrics and yarns. The PrimaLoft brand, a registered trademark of PrimaLoft, Inc., delivers feel-good products that are used in the top global outdoor and fashion brands, home furnishings, work wear, hunting and military applications. PrimaLoft insulation was originally developed for the U.S. army as a water-resistant, synthetic alternative to down. Today, the brand is recognized as a benchmark in the outdoor industry for providing unsurpassed comfort in any condition, ultimately empowering users to stay in the moment. PrimaLoft, Inc. is active in sustainable textile production through partnerships with the bluesign® system, the International OEKO-TEX® Association and the Sustainable Apparel Coalition’s Higg Index. For more information, please visit www.PrimaLoft.com, and follow PrimaLoft on Facebook, Twitter and Instagram. Cary, NC, Oct. 2, 2018 – INDA, the Association of the Nonwoven Fabrics Industry, today announced the acquisition of two leading industry publications: International Filtration News and International Fiber Journal. The association purchased the publications from International Media Group, Inc., based in Tempe, Arizona. The purchase price and terms were not disclosed. Under leadership of the Publisher Klaas De Waal the well-respected industry publications have circulations of 8,000-plus domestic and international readers and have each served their readers for over three decades. Both are published six times a year in print and digital formats. 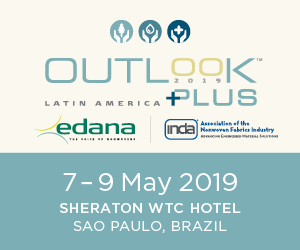 The acquisitions will expand INDA’s reach and relevance in the key markets the print and digital publications serve with a particular emphasis on the filtration and separation segment as INDA launches its new FiltXpo event to be held in Chicago every 18 months starting February 26-28, 2020. “International Filtration News is a global communicator to the greater filtration industry and we will capitalize on its reach to expand INDA’s services to this fast-growing sector, as well as the visibility of INDA’s newly transformed FiltXpo events. IFN broadens our international reach into the filtration and separation space. We will invest and strengthen this platform as an influential communicator to the larger audience FiltXpo will appeal to,” said Dave Rousse, INDA President. International Fiber Journal spotlights innovation and market successes in the areas of manmade fibers, technical textiles and nonwovens. 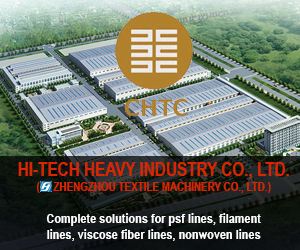 It informs and unites engineered material producers, suppliers of machinery and equipment, and the buyers and end-users of fibers and yarns in more than 90 countries. 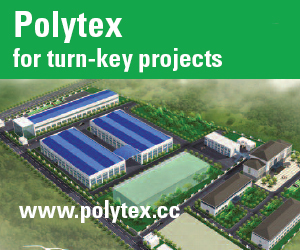 “Our IFJ growth plan aligns with the momentum of nonwovens in the wipes, geotextile and transportation vehicle sectors, and is well positioned to increase in value. These two publications together serve two of the largest and fastest growing sectors of INDA’s membership. Merging these into INDA enables us to provide an even greater value to our members and the overall industry,” said Rousse. INDA will maintain the current editorial, journalist and sales staffs operating the two publications. De Waal will continue as publisher during an extended transition phase as INDA launches a search for a new, fulltime publisher for both publications. 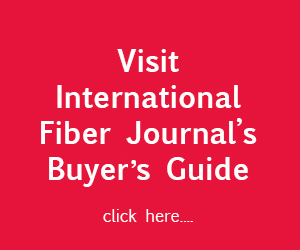 “The natural progression for International Fiber Journal and International Filtration News is to continue to serve the industry. I’m proud of the contributions we’ve made to the industry over the last 38 years. We’re pleased to pass ownership of these two publications to INDA as it serves the best interests of the industry and its future growth,” said De Waal. Huntsman Textile Effects and ICI Pakistan entered into a strategic collaboration in August, under which ICI Pakistan will market and distribute Huntsman’s wide range of high-quality textile dyes, chemicals, digital inks and services in Pakistan. The collaboration will combine Huntsman Textile Effects’ global experience in downstream marketing, product innovation and product stewardship with ICI Pakistan’s extensive and well established local network of customers and suppliers. The textile sector accounts for *57% of Pakistan’s exports and 40% of the industrial workforce, but rising costs and tougher global competition are becoming increasing challenges for the industry as a whole. Huntsman Textile Effects and ICI Pakistan through this alliance are fully committed to support the efforts of Pakistan’s Ministry of Textile to boost productivity and sustainability of the sector. 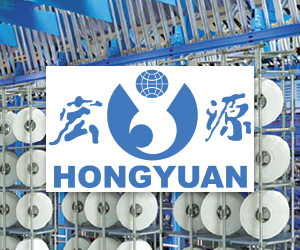 A division of Huntsman Corporation (NYSE: HUN), Huntsman Textile Effects is a recognized global market leader and innovator in textile dyes and chemicals. It holds 800 enforceable patents and is a champion of sustainability in the industry. It recently strengthened its local capabilities to better support this market, with Syed Daniyal appointed as Business Head for Pakistan, to lead an expanded sales team focused on dyes, chemicals and digital inks. Part of Yunus Brothers Group since 2012, ICI Pakistan has a diversified business portfolio and is a trusted brand in speciality chemicals, serving the textile, agriculture and construction sectors, among other areas. Its Specialty Chemicals plant was established in Karachi in 1968 and modernized and expanded over the years to create a sophisticated manufacturing facility with a reputation for quality and environmental sustainability. It works with global partners, such as Huntsman’s other divisions, to introduce novel solutions and premium products to Pakistan, with a nationwide distribution and support network. Dow Microbial Control, a global business unit of DowDuPont Specialty Products Division, announced in August that its patented antimicrobial technology for textiles and apparel – SILVADUR™ Antimicrobials – has been certified by the Bluesign® system, an important signifier to brands and manufacturers of the technology’s safety. 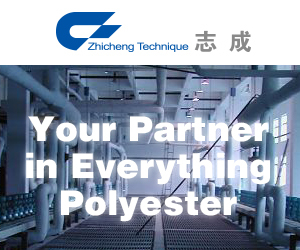 Managed by the Swiss-based company Bluesign Technologies AG, the system oversees the global textile supply chain to ensure that chemicals and other materials used in all steps of textile and apparel manufacturing processes are safe for consumers, workers and the environment. The Bluesign® system unites members of the entire textile supply chain – including Dow – to jointly and proactively reduce its global impact. Excellence is ensured through on-site inspections, verifying that chemical products are properly applied in controlled and responsible processes. In joining the network, chemical manufacturer members agree to improve performance in five areas of their production processes: air emissions, consumer safety, occupational health and safety, resource productivity and water emissions. SILVADUR™ Intelligent Freshness technologies provide durable and reliable odor protection in textile and apparel products at a time when growing numbers of consumers are embracing more hygienic lifestyles. When odor-causing bacteria land on the surface of treated fabrics, they are neutralized on contact by SILVADUR’s intelligent built-in odor protection technology, so treated fabrics stay fresh and clean-smelling longer. Extensive testing has shown that SILVADUR™ Antimicrobials have a high degree of efficacy against a wide range of undesirable, odor-causing bacteria in textiles, apparel and other products, are highly durable over 50 washings and their application process is efficient and cost-effective. DowDuPont Specialty Products, a division of DowDuPont (NYSE: DWDP), is a global innovation leader with highly differentiated materials, ingredients and capabilities that help transform industries and everyday life. DowDuPont Specialty Products includes five technology-driven businesses: Electronic Technologies, Industrial Biosciences, Nutrition & Health, Protective Solutions and Sustainable Solutions. Our employees apply diverse science and expertise to help customers advance their best ideas and deliver real-world products and smart solutions across multiple high-value markets. DowDuPont intends to separate the Specialty Products division into an independent, publicly traded company. More information can be found at www.dow-dupont.com. Techtextil North America 2019, in Raleigh, North Carolina, February 26-28, will be the first edition to name an official academic partner. North Carolina State University’s College of Textiles, located minutes from the Raleigh Convention Center in Downtown Raleigh, serves as a hub for textile research and development and as a primary supplier to the industry talent pipeline nationwide. The College is internationally renowned as a leader in the field of textile education and innovation, and through industry collaboration, aims to be the global leader in textile public-private partnerships. The College of Textiles offers unparalleled hands-on, science-based textile education through two departments, Textile and Apparel, Technology and Management and Textile Engineering, Chemistry and Science. Textiles faculty have established groundbreaking interdisciplinary centers and institutes: The Nonwovens Institute and the Textile Protection and Comfort Center. 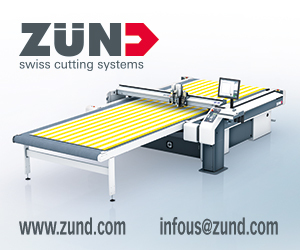 The Zeis Textiles Extension department meets a high-demand for professional training and fabrication and testing services by offering programs for entrepreneurs and start-up companies as well as multinational corporations. The Nonwovens Institute (NWI), also located on the NC State campus, has experienced remarkable growth, opening a new 40,000-sq.ft. facility in 2017 for SpunMelt and Hydroentangling. yarns and fabrics. In the past two years, companies from around the world have begun or expanded operations in rural North Carolina, bringing hundreds of new jobs and investing more than $100 million — largely due to access to superior textiles education, research and development, as well as proximity to the best textiles workforce in the nation: College of Textiles graduates. For more information on the upcoming edition of Techtextil North America, February 26-28, 2019 in Raleigh, North Carolina, please visit www.techtextilna.com.